It's been revealed that Nogizaka46's Shinuchi Mai will be active as an 'OL idol' (OL stands for office lady). 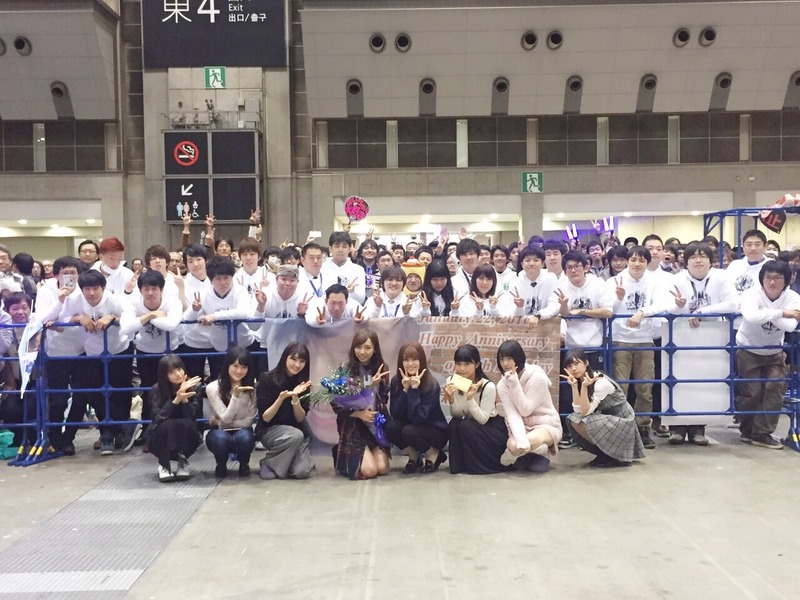 Shinuchi joined Nogizaka46 as its 2nd generation member last year, and was promoted to a regular member in March. She graduated from college this spring, and starting this month, she will will enter the work force while continuing her idol activities. 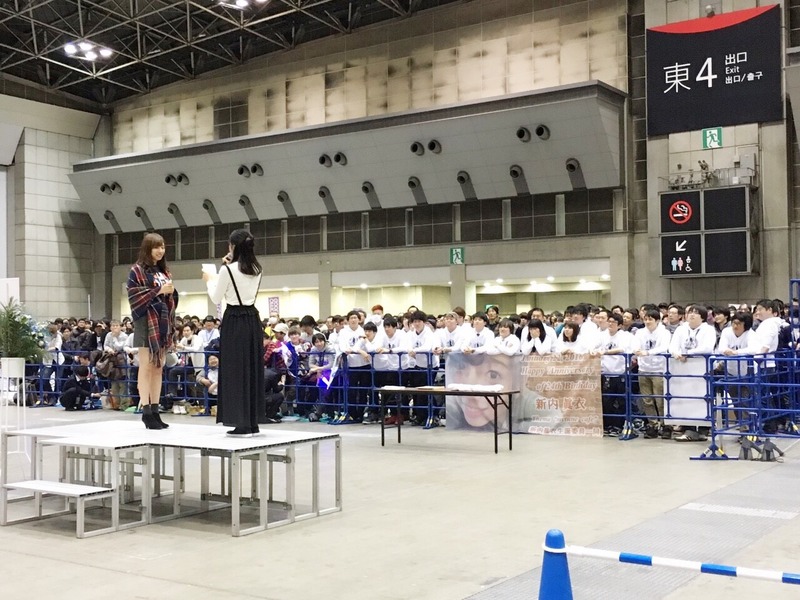 On April 1st, Shinuchi attended the company's welcoming ceremony in Tokyo, where she toured the company and received explanation of the work content. I did not know she also worked as OL.. must be very busy. Of course other Mai was first in line to congratulate..